Illuminated Mirrors is home to the most extensive collection of bathroom mirror cabinets and hollywood mirrors in the world, all with one thing in common – quality. Quality is at the heart of everything we do – from our products to our customer service – and is one of the reasons we are a leading name in the industry. Our manufacturing process is simple and guarantees you receive only the best bathroom cabinets and mirrors. We design, manufacture and hand-finish all components of our mirrors. This allows us to ensure that every aspect of your mirror is of the highest standard possible. 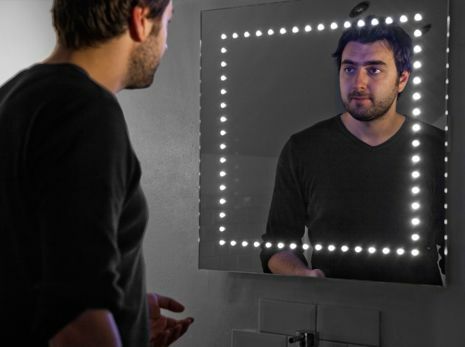 We do not just build bathroom mirrors; we innovate too. We have introduced many exciting features, such as indoor demister pads, LED under lighting and Bluetooth audio technology with marine speakers. Our quality products are combined with a quality approach to customer service. We offer a 10-year guarantee on all our products, as well as next day delivery. If you are not happy with your product, we'll endear to resolve your issue as fast as possible. We are as dedicated to you, the customer, as we are to the quality of our mirrors. So if you are looking for stylish bathroom mirror ideas, with quality guaranteed, look no further than Illuminated Mirrors.